Teachers of the gospel of Jesus Christ have been given a sacred trust. Their purpose goes beyond simply teaching lessons. Elder Dallin H. Oaks said, “A gospel teacher will never be satisfied with just delivering a message or preaching a sermon. A superior gospel teacher wants to assist in the Lord’s work to bring eternal life to His children” (“Gospel Teaching,” Ensign, Nov. 1999, 80). The Objective of Seminaries and Institutes of Religion provides clear direction to teachers and leaders regarding their efforts to assist in the Lord’s work. Our purpose is to help youth and young adults understand and rely on the teachings and Atonement of Jesus Christ, qualify for the blessings of the temple, and prepare themselves, their families, and others for eternal life with their Father in Heaven. We live the gospel of Jesus Christ and strive for the companionship of the Spirit. Our conduct and relationships are exemplary in the home, in the classroom, and in the community. We continually seek to improve our performance, knowledge, attitude, and character. We teach students the doctrines and principles of the gospel as found in the scriptures and the words of the prophets. These doctrines and principles are taught in a way that leads to understanding and edification. We help students fulfill their role in the learning process and prepare them to teach the gospel to others. We administer our programs and resources appropriately. Our efforts assist parents in their responsibility to strengthen their families. We work closely with priesthood leaders as we invite students to participate and as we provide a spiritual environment where students can associate with one another and learn together. Heavenly Father desires that each of His children gain eternal life (see Moses 1:39). The Savior taught: “This is life eternal, that they might know thee the only true God, and Jesus Christ, whom thou hast sent” (John 17:3). Therefore, the focus of religious education is to help students know and love their Heavenly Father and His Son, Jesus Christ, and to help students understand and rely on the Savior’s teachings and Atonement. The Atonement of Jesus Christ is central to the plan of salvation. It is the fundamental truth upon which gospel doctrines and principles are established and should be at the heart of all gospel teaching and learning. Elder Boyd K. Packer testified that the Atonement “is the very root of Christian doctrine. You may know much about the gospel as it branches out from there, but if you only know the branches and those branches do not touch that root, if they have been cut free from that truth, there will be no life nor substance nor redemption in them” (“The Mediator,” Ensign, May 1977, 56). “The pure gospel of Jesus Christ must go down into the hearts of students by the power of the Holy Ghost. … Our aim must be for them to become truly converted to the restored gospel of Jesus Christ while they are with us” (“We Must Raise Our Sights” [CES conference on the Book of Mormon, Aug. 14, 2001], 2). True conversion leads to the highest blessings of the gospel of Jesus Christ, which are made possible through the ordinances of the temple. As students faithfully make and keep temple covenants, they will qualify for those blessings that include exaltation and eternal families. They will experience added spiritual strength, greater peace, and additional personal revelation. Students who center their lives on the Savior and the temple can obtain greater protection against the enticements and deceptions of the world and be better prepared to accomplish all that Father in Heaven may ask of them. They can have the strength to remain firmly on the path that leads to eternal life and can better assist their families and others in finding and following this same path of discipleship. One of the greatest contributions a teacher can make toward helping students accomplish the purpose outlined in the Objective of Seminaries and Institutes is consistent and faithful obedience to the gospel of Jesus Christ. As teachers strive to develop Christlike character and seek to know and please Heavenly Father in every aspect of their lives, they are blessed with a measure of divine power that can influence the way the gospel message is received and understood by their students. When teachers faithfully live the gospel, they qualify for the companionship of the Holy Ghost. This companionship is crucial to the success of teachers in seminaries and institutes. In the Doctrine and Covenants, the Lord stresses “if ye receive not the Spirit ye shall not teach” (D&C 42:14). 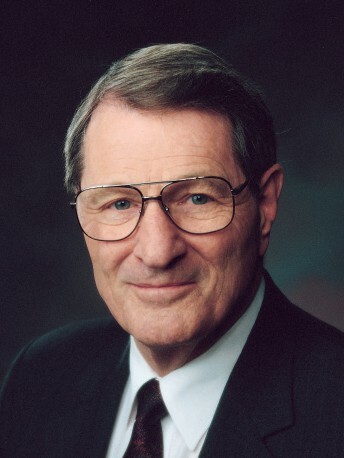 Elder Robert D. Hales counseled: “The responsibilities of teachers in seminary and institute of religion are many, but in order to meet these responsibilities, teachers must first strive for personal righteousness. 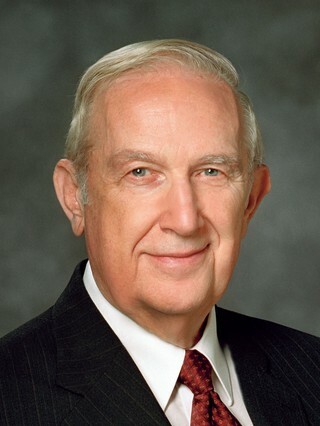 As teachers, we must live the gospel in such a way that we will have the Spirit to ever be with us” (“Teaching by Faith” [an evening with Elder Robert D. Hales, Feb. 1, 2002], 1). Teachers have a responsibility to conduct their lives with integrity and to be worthy examples of the doctrines and principles they teach. In all circumstances, teachers should speak, serve, and live in a way that is consistent with a person who loves the Lord and has the companionship of the Holy Ghost. Of primary importance is the way teachers act within the privacy of their own home and how they treat their spouse and children. These most important relationships should be characterized “by persuasion, by long-suffering, by gentleness and meekness, and by love unfeigned” (D&C 121:41). President Ezra Taft Benson expressed the following: “We hope there is an excellent relationship between you as husband and wife. We hope that your home has in it the spirit of peace and love of the Savior, and that this is evident to all those who come into your home. In your homes you should not have quarreling and friction. … You, as a couple, represent the First Presidency in all you do and in the way you appear” (“The Gospel Teacher and His Message” [address to CES religious educators, Sept. 17, 1976], 7). In the classroom, teachers have the opportunity day after day to demonstrate Christlike characteristics, such as charity, patience, kindness, respect, and reverence for sacred things. Teachers should maintain a positive and appropriate relationship with students and avoid giving undue attention to anyone in a way that could be misunderstood or misinterpreted or cause speculation or rumor. Teachers should strive to conduct themselves in a Christlike manner while participating in and attending school, community, and Church activities and events. They should seek to develop and maintain appropriate and supportive relationships with parents, colleagues, ecclesiastical leaders, and people in the community. By doing these things consistently, teachers demonstrate a genuine inward commitment to living the gospel of Jesus Christ, and their power to influence lives for good will be increased. “Keep on growing, my brothers and sisters, whether you are thirty or whether you are seventy” (“Four Imperatives for Religious Educators” [address to CES religious educators, Sept. 15, 1978], 2). Improvement takes desire, diligence, patience, and the help of the Lord sought through pondering and prayer. Elder Henry B. Eyring taught an important principle about self-improvement: “Most of us have had some experience with self-improvement efforts. My experience has taught me this about how people and organizations improve: the best place to look is for small changes we could make in things we do often. There is power in steadiness and repetition. And if we can be led by inspiration to choose the right small things to change, consistent obedience will bring great improvement” (“The Lord Will Multiply the Harvest” [an evening with Elder Henry B. Eyring, Feb. 6, 1998], 3). In seminary and institute, teachers should continually seek to improve their performance, knowledge, attitude, and character. Performance. Teachers should regularly seek to improve their performance in teaching and administrative responsibilities. They can do so through a balanced, steady, and diligent effort to understand and apply fundamental principles and skills. Seeking help from seminary and institute materials and from supervisors, colleagues, students, priesthood leaders, and others will help teachers and leaders obtain a more accurate assessment of their performance, as well as the guidance necessary to help them improve where needed most. Knowledge. Teachers should consistently strive to study the context, content, and doctrines and principles contained in the scriptures and the words of the prophets. As they do, they will grow in their understanding of the Savior’s gospel and Atonement and will be better able to bless the lives of their students. Teachers should develop their knowledge and understanding of the principles and effective methods of teaching that are contained in the scriptures as well as in seminary and institute materials. They should also be familiar with principles of appropriate administration (see section 1.4, “Administer” on page 7) and understand policies and practices of seminaries and institutes. Attitude. The attitude teachers have determines to a great degree their own happiness and the ability they have to influence their students for good. Teachers who continually strive to be of good cheer (see D&C 68:6), seek to serve others, work to achieve unity, and make the best of challenging situations will bless the lives of the students and colleagues with whom they associate. Character. Teachers who strive to live the gospel and who consistently and genuinely try to improve their performance, knowledge, and attitude will naturally develop the character necessary to assist in accomplishing the Objective of Seminaries and Institutes. Elder Richard G. Scott taught: “We become what we want to be by consistently being what we want to become each day. Righteous character is a precious manifestation of what you are becoming. … Righteous character is more valuable than any material object you own, any knowledge you have gained through study, or any goals you have attained” (“The Transforming Power of Faith and Character,” Ensign or Liahona, Nov. 2010, 43). Ultimately, the key in seeking to improve our performance, knowledge, attitude, and character lies in following the example of Jesus Christ. 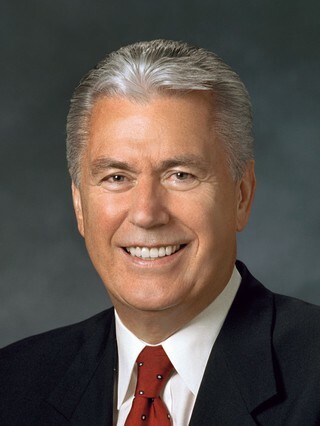 President Howard W. Hunter said, “It is the teaching and example of the Lord Jesus Christ that shapes our behavior and forms our character in all areas of our life—personally, within the home, in our professions and community life, as well as in our devotion to the Church that bears his name” (“Standing as Witnesses of God,” Ensign, May 1990, 60). A knowledge, understanding, and testimony of the doctrines and principles of the gospel of Jesus Christ will provide students with direction and sufficient strength to make choices that are consistent with Heavenly Father’s will. “True doctrine, understood, changes attitudes and behavior. “The study of the doctrines of the gospel will improve behavior quicker than a study of behavior will improve behavior” (“Little Children,” Ensign, Nov. 1986, 17). Elder Richard G. Scott emphasized, “Principles are concentrated truth, packaged for application to a wide variety of circumstances. A true principle makes decisions clear even under the most confusing and compelling circumstances” (“Acquiring Spiritual Knowledge,” Ensign, Nov. 1993, 86). The scriptures and the words of the prophets contain the doctrines and principles of the gospel that teachers and students should seek to understand, teach, and apply. To those who teach the gospel in the latter days, the Lord instructed, “Teach the principles of my gospel, which are in the Bible and the Book of Mormon, in the which is the fulness of the gospel” (D&C 42:12). The Lord also affirmed the importance of understanding and following the teachings of latter-day prophets. “Thou shalt give heed unto all his words and commandments which he shall give unto you as he receiveth them. … His word ye shall receive, as if from mine own mouth” (D&C 21:4–5). “You are not, whether high or low, to change the doctrines of the Church or to modify them as they are declared by and in the standard works of the Church and by those whose authority it is to declare the mind and will of the Lord to the Church” (The Charted Course of the Church in Education, rev. ed. , 10; see also D&C 42:12–13). When deciding how to teach gospel doctrines and principles, teachers should select methods that lead students to understand these important truths and to be edified and uplifted by the Holy Ghost. Teachers and students understand doctrines and principles when they grasp their meaning, see their relationship with other principles and doctrines, and comprehend their significance in the plan of salvation, as well as in their own lives. True understanding of eternal principles and doctrines can only come as individuals live gospel principles and as their minds are illuminated by the Holy Ghost. Edification should accompany an understanding of the scriptures. The word edify comes originally from the Latin roots aedes, meaning a dwelling or temple, and facere meaning to make (see Collins English Dictionary—Complete and Unabridged , “edify”). Therefore, edify relates to building a temple and means to build or strengthen spiritually. Joy, peace, enlightenment, and a desire to live righteously are associated with edification. The scriptures promise that if both the teacher and the student act under the direction of the Spirit in the teaching and learning process, then “he that preacheth and he that receiveth, understand one another, and both are edified and rejoice together” (D&C 50:22). 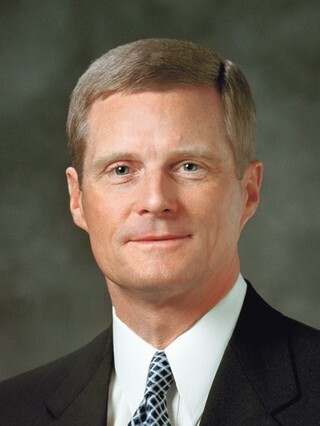 “A learner exercising agency by acting in accordance with correct principles opens his or her heart to the Holy Ghost—and invites His teaching, testifying power, and confirming witness” (“Seek Learning by Faith” [an evening with Elder David A. Bednar, Feb. 3, 2006], 1, 3). Develop a habit of daily scripture study. Prepare their hearts and minds for the influence of the Spirit. Discover and express doctrines and principles that are relevant to their personal lives. Deepen understanding of the scriptures through diligent study, meditation, and prayer. Ask questions and seek for answers that help them better understand the gospel and how it applies to their lives. Share insights, experiences, and feelings. Explain gospel doctrines and principles to others and testify of their truthfulness. Develop scripture study skills, such as marking, cross-referencing, and using the scripture study aids. “[The students’] decision to participate is an exercise in agency that permits the Holy Ghost to communicate a personalized message suited to their individual needs. Creating an atmosphere of participation enhances the probability that the Spirit will teach more important lessons than you can communicate. By fulfilling their role in spiritual learning, students manifest their willingness to be taught by the Holy Ghost. They are often more committed to and excited about the scriptures. They understand and recall saving doctrines and principles more clearly and are more likely to apply what they have been taught. As students discover gospel doctrines and principles, ask questions, and share responses, they also learn valuable skills for studying on their own. Through such participation, students will be enabled to teach the gospel more effectively to their families, friends, and others. They will also be better prepared to teach the doctrines and principles of the gospel in the future as missionaries, parents, teachers, and leaders in the Church. Administering may be defined as both leading and serving people as well as directing and managing programs and resources. As the perfect example in all things, Jesus Christ modeled the divine attributes of a true leader. No matter what their current assignment may be, all leaders and teachers in seminary and institute have the opportunity and responsibility to both lead and manage in a Christlike manner. Attributes of charity, vision, and humility allow us to accomplish the Lord’s work as He would desire. Charity, or the pure love of Christ, should be the basis of a teacher’s relationship with students, priesthood leaders, parents, colleagues, and supervisors. Charity is not merely a feeling but a manner of acting and being (see Moroni 7:45). A leader with vision gives inspired direction, creates a sense of purpose, and instills enthusiasm in those around him. The scriptures teach that “where there is no vision, the people perish” (Proverbs 29:18). Humility allows administrators and teachers to recognize their dependence on the Lord and encourages them to work cooperatively with others to accomplish the Objective of Seminaries and Institutes. The Lord said, “No one can assist in this work except he shall be humble and full of love, having faith, hope, and charity, being temperate in all things, whatsoever shall be entrusted to his care” (D&C 12:8). Every teacher and leader has the opportunity and responsibility to direct and manage programs and resources appropriately. Administrative responsibilities are for the spiritual purpose of blessing individuals. “Preparing budgets, completing reports, caring for Church property and resources, ensuring safety, overseeing programs, … participating in councils, [and communicating with students, parents, and priesthood leaders] are all essential administrative duties (Administering Appropriately: A Handbook for CES Leaders and Teachers , 2). 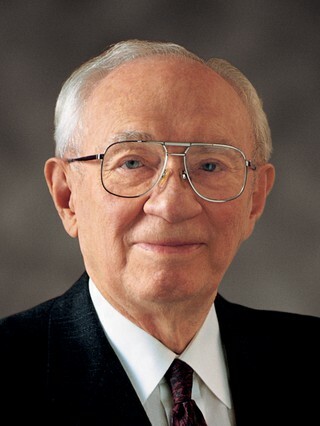 Elder Henry B. Eyring taught, “Never, never underestimate the spiritual value of doing temporal things well for those whom you serve” (“The Book of Mormon Will Change Your Life” [CES symposium on the Book of Mormon, Aug. 17, 1990], 7). Parents have the primary responsibility to teach their children the gospel of Jesus Christ; to oversee their social development, interpersonal relationships, and dress and grooming standards; and to answer their doctrinal questions. Church leaders assist parents in this responsibility. Seminary and institute leaders and teachers primarily assist parents by teaching students the gospel of Jesus Christ as found in the scriptures and the words of the prophets, emphasizing the doctrinal importance of the family and the high priority that family members and family activities deserve (see Administering Appropriately, 4). Teachers should encourage students to honor their parents and to seek their parents’ counsel and guidance. Teachers could also share with parents what is being taught in class. All programs within Seminaries and Institutes of Religion operate under the direction of both general and local priesthood leaders who hold the appropriate priesthood keys. In their efforts to bless the youth and young adults, it is important that seminary and institute leaders and teachers work closely and cooperatively with local priesthood leaders. Under the direction of priesthood leaders, they counsel and work together to ensure that each youth and young adult is invited and encouraged to enroll in, attend, and complete appropriate courses of study. Teachers and administrators should be actively involved with priesthood leaders in seeking to enroll and retain seminary and institute students and should not be content to teach only those students who come to their classes. In harmony with established policies and procedures, seminary and institute leaders and teachers also work closely with priesthood leaders to provide facilities for classes and an appropriate spiritual and social environment where testimonies can be strengthened and knowledge of the gospel increased. Teachers and administrators should follow current seminary and institute policy and should counsel with local priesthood leaders about the type and frequency of social and service activities so they support rather than interfere with activities planned and conducted by priesthood and auxiliary leaders. Teachers and administrators should also work cooperatively with Young Men and Young Women leaders and appropriately encourage the youth to participate in the Duty to God and the Personal Progress programs. Where feasible, seminary teachers should counsel with other teachers, advisers, and leaders of youth about the needs of youth.